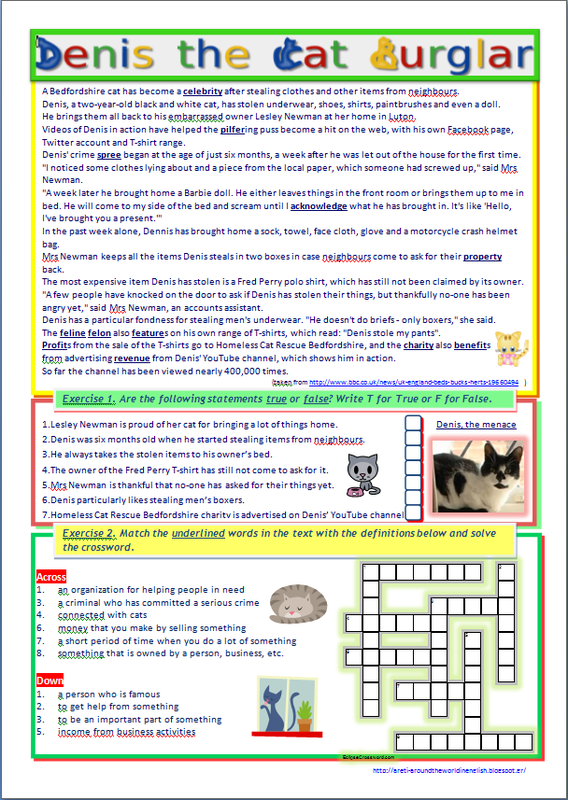 This is a worksheet based on the story of Denis, the 'Cat Burglar'. On the first page there´s a relevant article from the BBC News followed by a True/False exercise and a vocabulary crossword. On the second page there´s a set of comprehension questions for the students to answer after they have watched the BBC video about Denis. 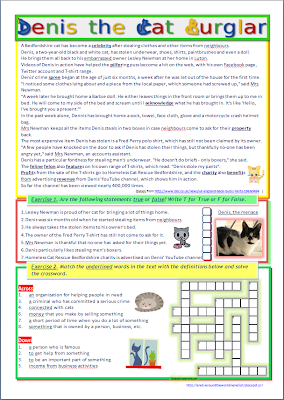 Finally there´s a matching exercise on some cat idioms.